Mayor Tom Tait may no longer place items on future council meeting agendas unless he does so during a council meeting. The council majority is set Monday to clash with Mayor Tom Tait over the mayor’s power to place items on council meeting agendas. The move is widely seen as retaliation for Tait’s criticism of the pending Angel Stadium lease deal. Over the past five years, many high-level employees in Orange County government have reaped six-figure sick and vacation leave payouts. “This is not something we intended to become a practice,” says a state senator. Anaheim’s council majority plans to retract one of the mayor’s few powers, and Costa Mesa approves an increase in reprographics costs. The present shelter in Orange was built during World War II to serve a county population of only 200,000 people. As new sports fields open at Orange County Great Park, the old fight between the park’s warring factions continues. Anaheim Mayor Tom Tait calls the council majority’s approach a giveaway, while city consultant Charles Black says concessions were key to keeping the team focused on negotiations instead of moving. On Sept. 30 the council majority will likely vote to strip Mayor Tom Tait of his power to unilaterally place items on council meeting agendas. Tait says its retaliation for his efforts to bring transparency to the stadium deal. The 2013 count estimates about 12,700 of Orange County’s 3 million residents are homeless at some time during the year. Can Mayor Pulido Resurrect Redevelopment Agencies? 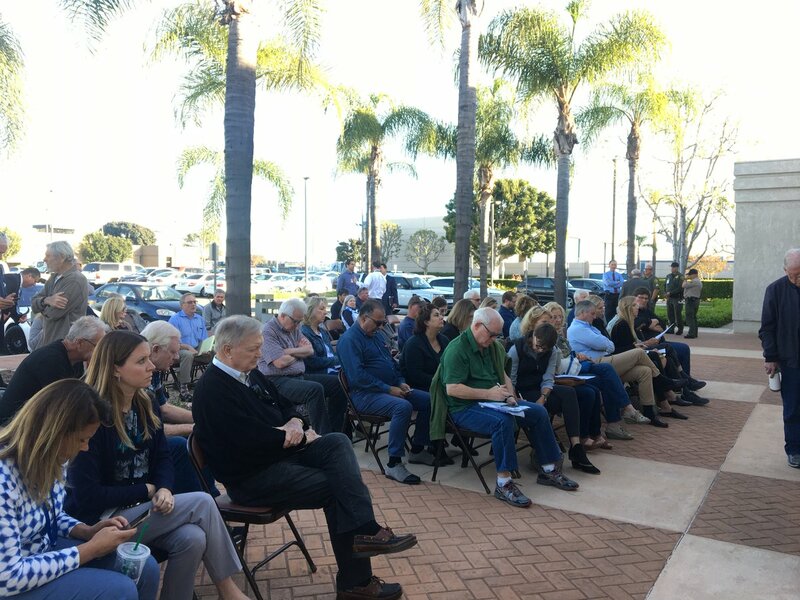 The Santa Ana mayor and the public relations firm Forde & Mollrich have joined to raise money for a ballot initiative that would revive California’s controversial redevelopment agencies.